A nationwide trend of dam removal is restoring the private to the commons. On an overcast October day in East Bridgewater, Massachusetts, a squad of ant-like contractors scurried under a bridge next to a crumbling dam. 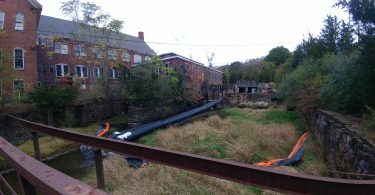 In high-visibility yellows and hardhats, the workers laid plastic pipe to divert the Satucket River around their worksite. John Fabroski, president emeritus of the Plymouth County League of Sportsman — an advocacy group for fishermen and hunters — leaned against a concrete railing, watching with quiet satisfaction. 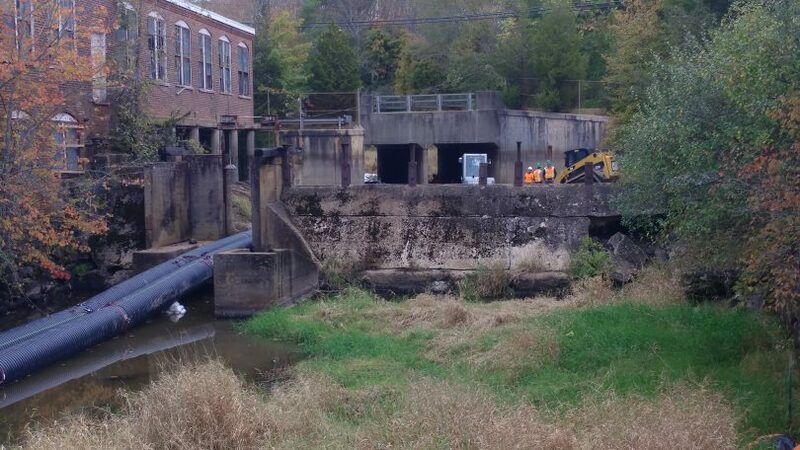 The contractors were preparing for the removal of the nearby Carver Cotton Gin Mill Dam, a relic from 1842. When the dam is gone, the river will be free for the first time in over 100 years. For Fabroski, the start of this work represents the end of a 17-year fight. He’s been agitating for the dam’s removal since 2000. Back in 2000, one of his constituents alerted him to the problem of the Cotton Gin Mill Dam in East Bridgewater. A local sport fisherman spotted a harbor seal feasting downstream of the dam. It was spawning season and thousands of herring were flopping at the base of the dam. The seal had traveled 21 miles inland for a captive buffet. In almost two decades of work, Fabroski has built a coalition of local activists and environmentalists to have the dam removed. Dam removal was unheard of in Massachusetts when Fabroski began organizing. Even with the Massachusetts Office of Dam Safety declaring the dam a “significant hazard,” it was difficult to convince owners and state officials to sign off on the removal. But when substantial flooding caused the Office of Dam Safety to order that the floodgates remain open to prevent a catastrophic failure, people started paying attention to the dam. “I thought the waters would recede and the dam problem would be gone. 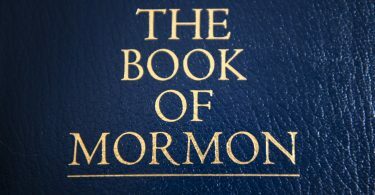 But it was still there,” Fabroski said. Dams were not always seen as a problem. Since colonization, European settlers built small dams on rivers to power their mills. “Any river with a 10-foot fall could be a mill site,” said Kate Veins, research director of the Massachusetts Historical Society. These dams were used to cut lumber or grind flour. During King Phillip’s War, Wampanoag Native Americans attacked small mill dams, knowing that colonists would be unable to feed themselves without them. Industrialization put dam construction into overdrive. From 1820 to 1860, a flurry of dam-building occurred as industrialists scrambled for more water power. By the end of this period, New England was the global leader in water power mills. The Blackstone River, which flows from Worcester, Massachusetts to Providence, Rhode Island, was repeatedly dammed from 1790 until the 1850s and eventually became the most densely dammed river on earth. The damming of the fast-flowing Chicopee River in Springfield helped establish the city as the Silicon Valley of its day. Canals like the Merrimack and Eerie were constructed with intricate lock-and-dam systems to transport goods. The dam boom had an immense impact on the land. What were once free-flowing rivers were turned into ponds and waterfalls. While the dams were being built, farmers would rush to cut down forests for lumber before the floodwaters could reach their land. 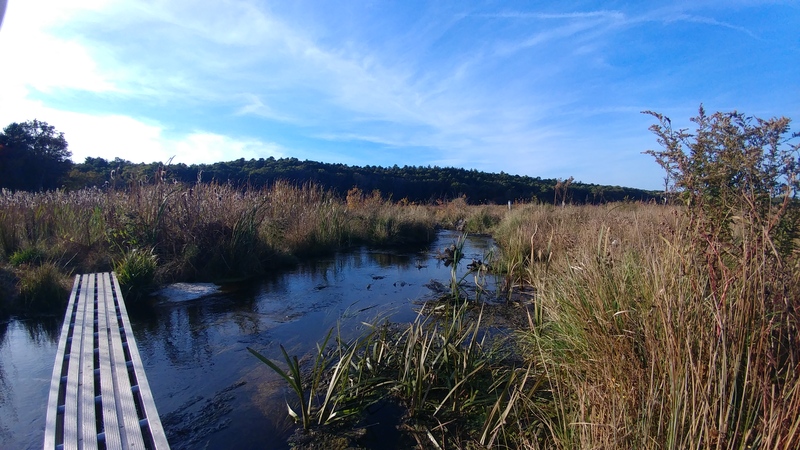 Aside from being physical barriers to fish and aquatic invertebrate migration, dams also caused water temperatures to rise, which often killed migrating fish. The Atlantic salmon population declined from nearly a million per run to less than 400 over the past two centuries. Backed-up floodwaters submerged wetlands. Silt bound for salt marshes became trapped behind dams, making storm surges worse. 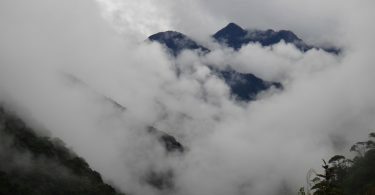 Industrial pollutants mingled with silt and remained in the rivers. By 1990, the Environmental Protection Agency called the Blackstone the most polluted river in America. Dam building remained the provenance of private industry until roughly 1889, when a privately-owned dam in western Pennsylvania gave way. Its collapse unleashed a 30-foot wall of water down the Little Conemaugh River Valley, sweeping through a rail bridge and a barbed-wire factory through Johnstown and killing 2,209 people. The disaster was so extensive that it prompted a change in law. Although the robber baron owners of the dam escaped liability at that time, future owners were now responsible for the impacts of of the dam on land alteration, including flooding. The aftermath of the Johnstown flood and the development of coal-fired steam power left many small dams built for canals or factories unused. Viens explained that steam power could run year-round without the fear of ice or drought. Within the generation that built them, water-power mill dams were obsolete. The 1920s ushered in a new era of dam-building when government agencies like the Tennessee Valley Association, the Works Progress Administration, the Bureau of Water Reclamation and the Army Corps of Engineers constructed huge concrete dams for electricity, flood control, irrigation and drinking water. These agencies provided crucial infrastructure and gave meaningful employment to thousands of citizens during the Great Depression. They weren’t without their own dangers though. The rush to construct dams often resulted in ecological consequences or unsafe dams. The Teton Dam collapse of 1976 destroyed 80 percent of the Sugar City, Salem, Rexbrug and Hibbard townships in Idaho. The surveyors had ignored that the dam site was full of permeable volcanic ash soils. The era of congressionally-funded dam building came to an abrupt halt in 1979 when environmental activist Mark Dubois hid himself in the Stanislaus Canyon of California, chained himself to a boulder and waited to drown as floodwaters rose from a nearby dam. The episode brought national attention to dams as a conservation issue for the first time. As dams age, they get harder to maintain and risk of collapse increases. 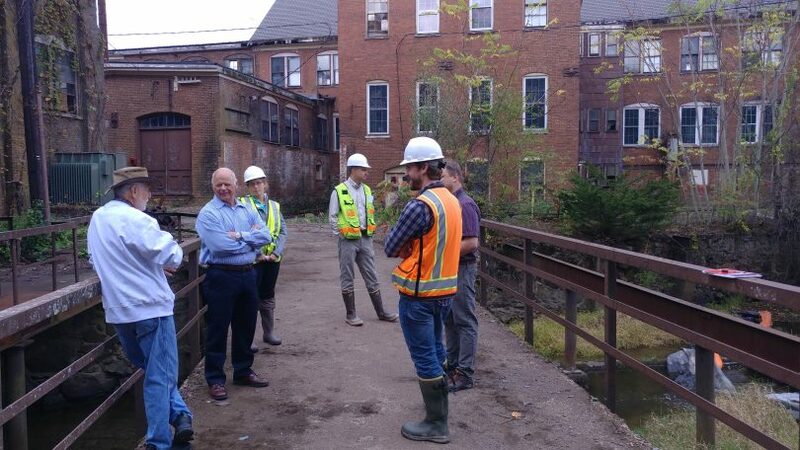 In 2005, a 100-year-old wooden dam on the Mill River buckled under the weight of week-long rain, forcing the evacuation of 2,000 residents of Taunton, Massachusetts. The National Guard feared the dam would collapse, releasing a 12-foot wall of water. If this happened, it would echo the failure that occurred in 1874, when another dam on the Mill River destroyed Taunton and three neighboring towns, killing 179 people. Taunton was lucky that year. The dam held, but recent dam failures have put the risk in stark relief. In 2015, 20 dams failed simultaneously in Georgia during a heavy rain. With 950 dams in Massachusetts listed as at-risk for failure, the state has turned to removing the dams to avoid catastrophe. 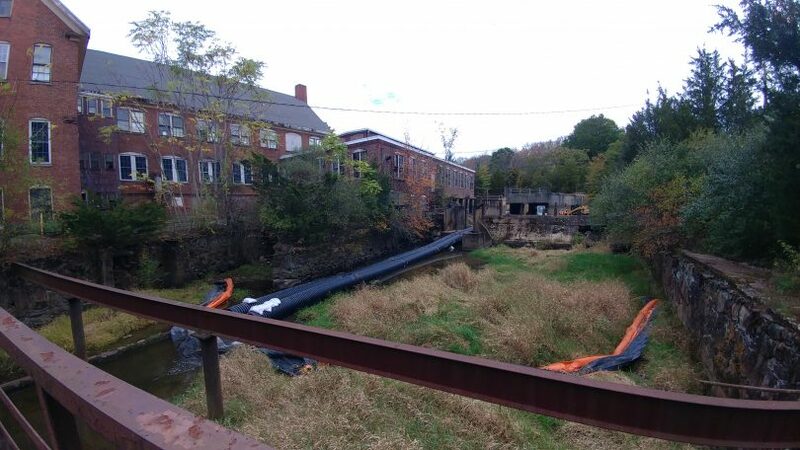 “That incident really triggered the interest in dam removal that we see now,” said Beth Lambert of the Massachusetts Department of Ecological Restoration. 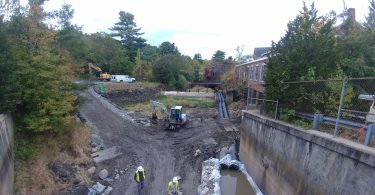 In the years following the Taunton dam removal, Lambert and her team have documented the return of migratory fish and the beginnings of wetland regrowth. The dam removal trend has also allowed river restoration science to develop. “Restoration and removal is a relatively new field,” said Alan Christian, associate professor of Aquatic Ecology at University of Massachusetts. Scientists are monitoring river restoration projects over the long term to see how long it takes for a river system to recover to a pristine state. Restoration is not without its challenges. Sites might have to be monitored for 20 years or more and long-term monitoring doesn’t always receive funding. “After a year or two the money drops off for monitoring,” Christian said. Nationwide, early ecological observations from large dam removal projects on the Elwha River in Washington and Penobscot River in Maine have been promising. Fish have been sighted migrating past where the dams were and floodplains are being restored. When workers remove the East Bridgewater Dam in Massachusetts later this year, it will open 13 miles of stream and 640 additional acres of fish-spawning habitat. The river joins with the largest herring and eel migration at the now undammed Taunton River a few miles downstream. 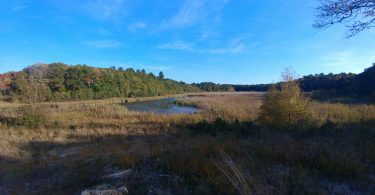 The Nature Conservancy and the Massachusetts Division of Ecological Restoration plan to monitor the site for the next 10 to 20 years. 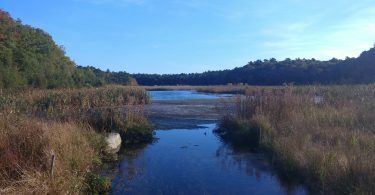 The Tidmarsh Project, the state’s largest restoration project, may hold clues to the future of restoration in the state. Driving past, you wouldn’t realize that Tidmarsh was a cranberry farm for 100 years. The farm had at one time produced one percent of Ocean Spray’s cranberries, but business dried up with changes in industrial cranberry farming. The prior owners closed up shop in 2010. Instead of selling the land, they worked with state and local agencies to remove nine dams and rebuild three miles of stream channel. Now the site looks like a vibrant river with marshy ponds and red wing blackbirds. 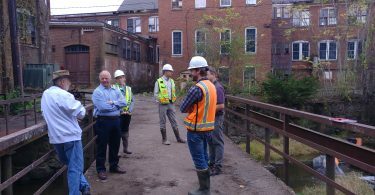 Alex Hackman, a restoration specialist for Department of Environmental Restoration, was enthusiastic about the project. This is the first time researchers have been able to monitor how well a restoration project works in real-time. “It’s a rare story of environmental hope,” he said. Hackman stressed that restoration projects aren’t just feel-good stories. 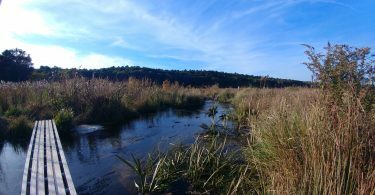 Removing dams and restoring wetlands are crucial for climate change readiness. As storms become more severe, the risk for dam failure grows. Unpolluted silt trapped behind dams could build sandbars to block storm surges. 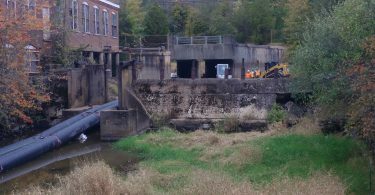 Projects like Tidmarsh and Carver Cotton Gin Mill Dam only happen when activists and landowners want a project to go forward. Without their cooperation, aging dams sit unnoticed, part of the iconic mill-dotted landscape of New England. Landowners in particular have a lot of power to restore sites or turn them over to other uses. Legally, landowners are responsible for old dams. Tidmarsh in particular could have been converted into a housing development. Where Do You Hide a 100-Foot-Tall Tree?